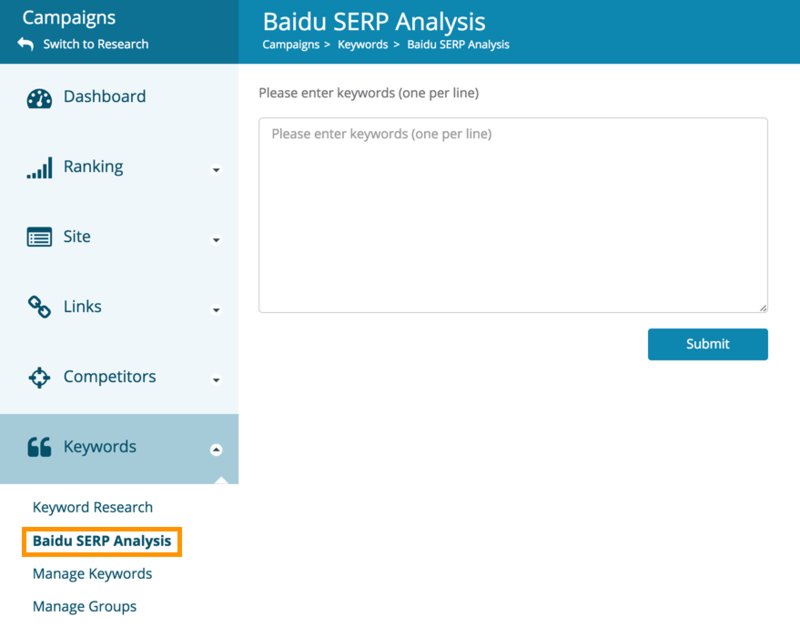 Dragon Metrics offers a Baidu SERP analysis tool which allow our users to get the amount of Universal Results in their target keywords' SERPs, with these data they can assess the worthwhileness of optimizing for a particular keyword in Baidu. If you are using method 1, you can type in your desired keywords one per line and click submit. 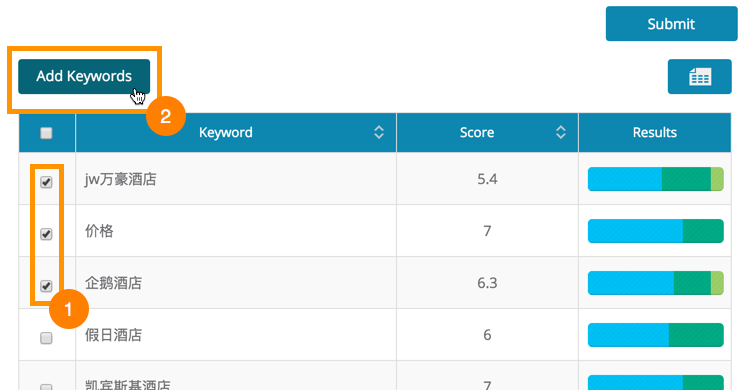 At the analysis result page, you can see a table with Keyword, Score and Results column. B - Score - This is our score of the potential organic traffic this keyword could drive, considering how many universal results are occupying the SERP. Learn more about SERP Score. 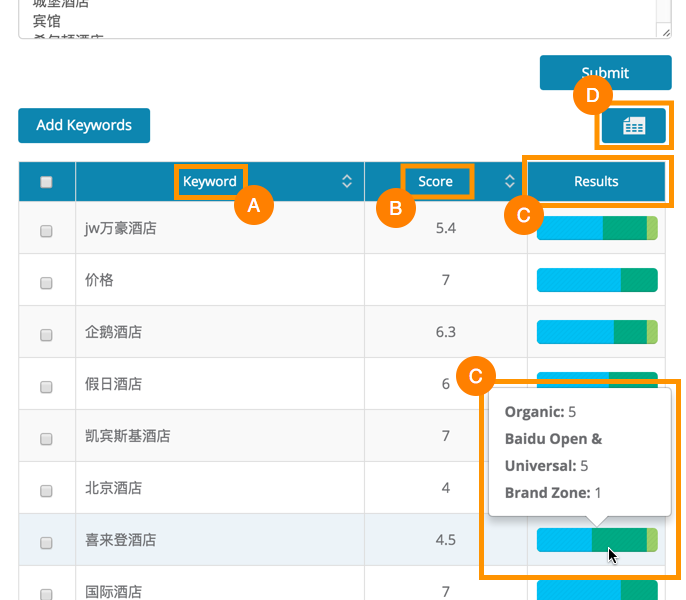 You can directly add them to tracked keyword with in the Baidu SERP analysis tool as well, just check the keywords you'd like to track, and click on the Add Keywords button above. 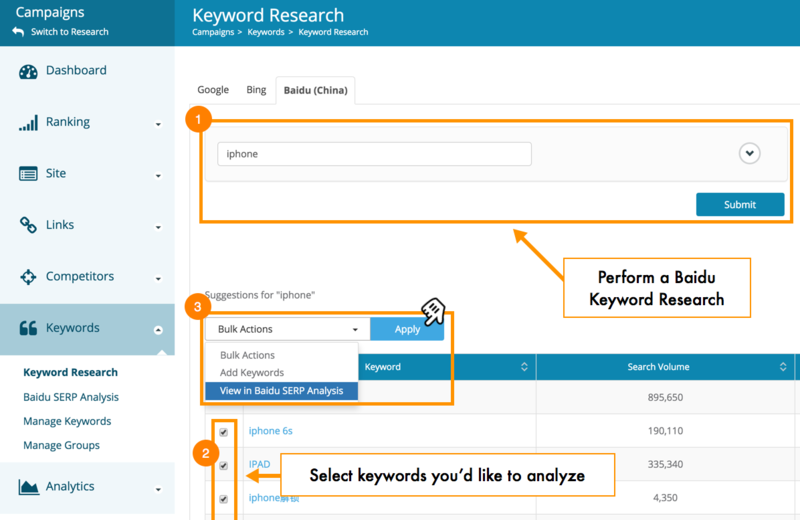 After that you can see a popup for you to enter optional details and assign keyword groups to these keywords, after confirming every details you can click Save and these keywords will be added to your tracking keywords.